Obituary for Phillip McKamie | Smith Mortuary, Inc.
Phillip Edward McKamie, 71, of Charleston, Arkansas, passed away on Wednesday, March 27, 2019 in his home. He was born June 15, 1947 in Charleston, Arkansas; the son of the late, Oswald and Vestal McKamie. Phillip was a former truck driver, worked at Bloomer Chicken Plant for many years, an Army Vietnam Veteran and a member of Northside Baptist. 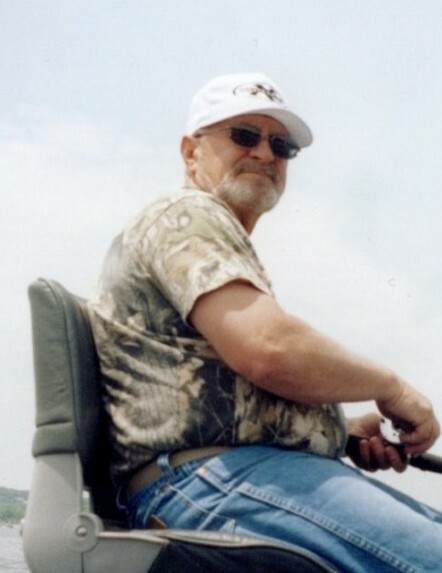 Phillip loved spending time with his grandkids, family and friends and fishing and hunting. He is survived by his wife Tracey of the home; daughter, Jaquita Moore and husband Justin, son, Jimmy McKamie and wife Cheryl both of Charleston, Arkansas; sister, Ruth Pardue of Fort Smith, Arkansas; brother, Jimmy David McKamie of Charleston, Arkansas; three grandchildren, David and Kaiden McKamie and Allie Moore all of Charleston, Arkansas. Funeral service will be held 2:00 p.m. Saturday, March 30, 2019 at Smith Mortuary Chapel, Charleston, Arkansas with interment at Nixon Cemetery, Charleston, Arkansas. Family will receive friends Friday 6:00 p.m. until 8:00 p.m. at Smith Mortuary Charleston, Arkansas. Pallbearers will be Allen Case, Michael Champion, Jared Smith, Jeff Terry, Justin Samply, Brandon Campbell, Stassen Shaver and Johnny Mott. Honorary Pallbearer will be Duck Wilson, Bill Howe, Steve Berry, Bill Faulkner, Bob Rawlings, Frankie Jetton ,Ronnie Case and David McKamie.